Smashers is a VR experience (Oculus Rift, Go, Vive, Gear VR) that tracks the progression of the major discoveries in physics as well as the technology used to create the atom bomb. The piece is being developed within the new Oculus Start program 2018-2019. Smashers is inspired by the legacy of grandfather Wilson Marcy Powell, a Harvard physicist who developed the magnets for the Calutrons in the Manhattan Project. He then became a tenured professor of Physics at UC Berkeley’s Radiation Lab under Ernest O. Lawrence. Technologies: Unity 3D, Maya, ZBrush, Substance Painter, Premiere, Photoshop. Photo #1 on right: The 184-inch Cyclotron (“atom smasher”) in the Radiation Lab at UC Berkeley in 1943. Built in Maya and textured in Photoshop, the scene is rendered in Unity for an interactive VR experience. Smashers consists of eight scenes created in CG. Beginning with Curie’s discovery of polonium and radium in 1902, Smashers ends with the bombing of Hiroshima in August 1945. Each scene captures a pivotal point in the history of physics – discovery or advance in technology – leading to the deployment of the atom bomb. 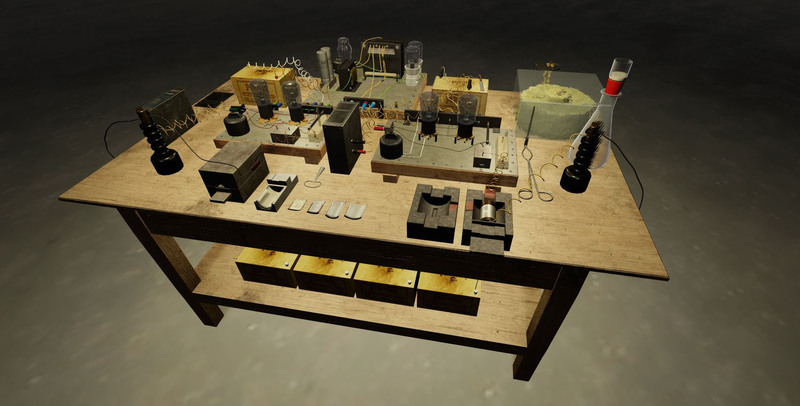 [Interactivity] Users will be able to walk around the laboratories, experiments and machines that drove physics in the first half of the 20th century. Special objects will trigger historical movie clips, photos and other historical artifacts. 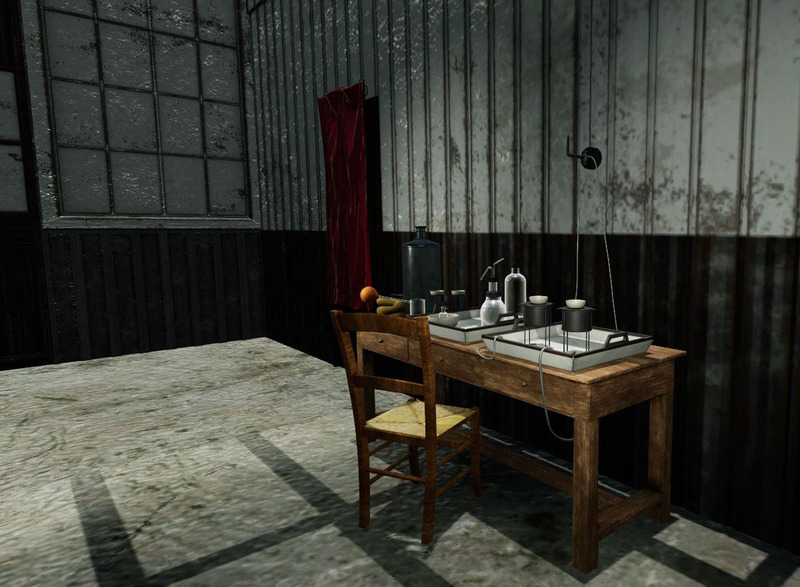 For instance, if a user picks up a journal in Marie Curie’s laboratory, a key page from her diary will be revealed. [Shifting World Scale] The scale of the virtual world can shift between the real-world view – the Newtonian world – and the nano view – the particle world – depending on the user’s interaction with the environment. For example, if the user clicks on a cloud chamber, she/he will transition to the inside of the cloud chamber and experience the heady and chaotic world of subatomic particles streaking through gas. The image is of Curie’s electroscope, i.e. 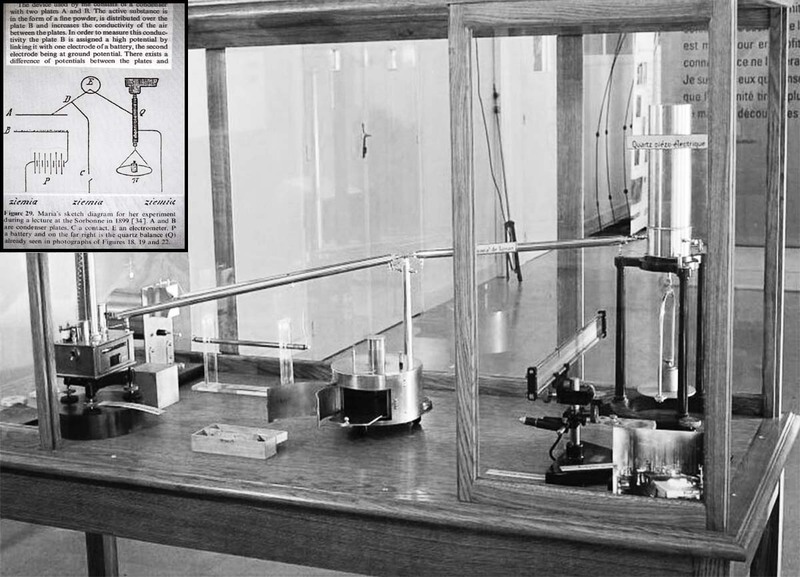 the experimental set-up used to discover radium. 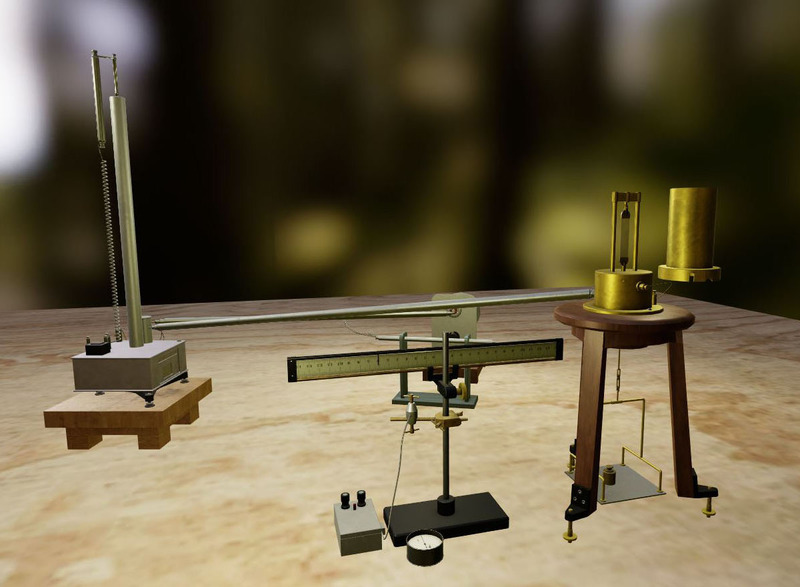 Created in Maya, the electroscope is captured in Unity 3D and Oculus Rift. Featured in the image is a corner of Marie and Pierre Curie’s “discovery shed,” an abandoned dissection room in a Parisian medical school. For four years, the Curies laboured in the crudest of conditions – poor ventilation and insulation, a bitumen floor and a ceiling of flimsy windows. 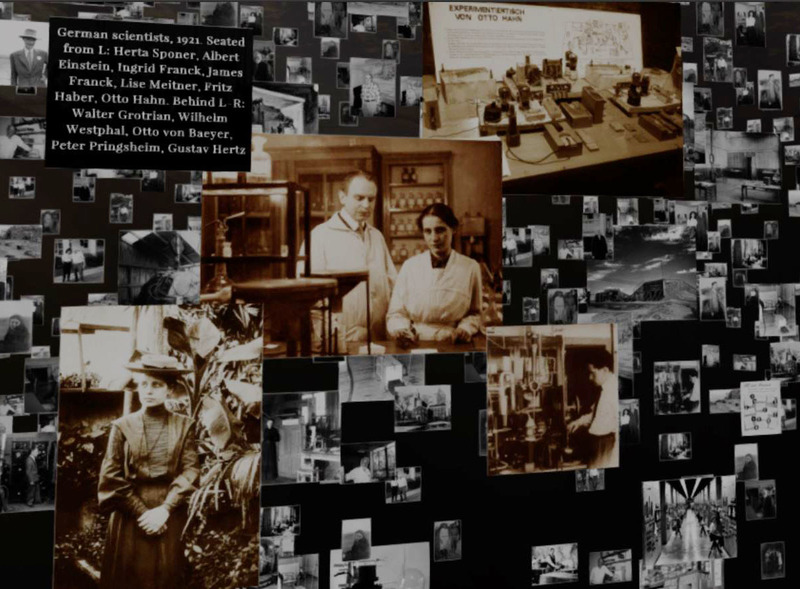 The shed and Curie’s experiments have been recreated from historical photos and artwork. Technologies: Maya, Substance Painter, Unity 3D, Oculus Rift. In the early 1900s, C.T.R. Wilson invented the cloud chamber, a device that detects charged particles (ions) as they streak through gas in a chamber and leave a trail of water droplets. Because different particles create distinctive tracks, this invention paved the way for the study of particle physics. In the summer of 1941, grandfather won a Guggenheim fellowship to capture the elusive mesotron (meson). He plunked a mobile lab with a cloud chamber on Mount Evans. After taking 13,000 pictures, he finally caught the meson in the chamber. At summer end, grandfather then headed to UC Berkeley to work in the Manhattan Project. 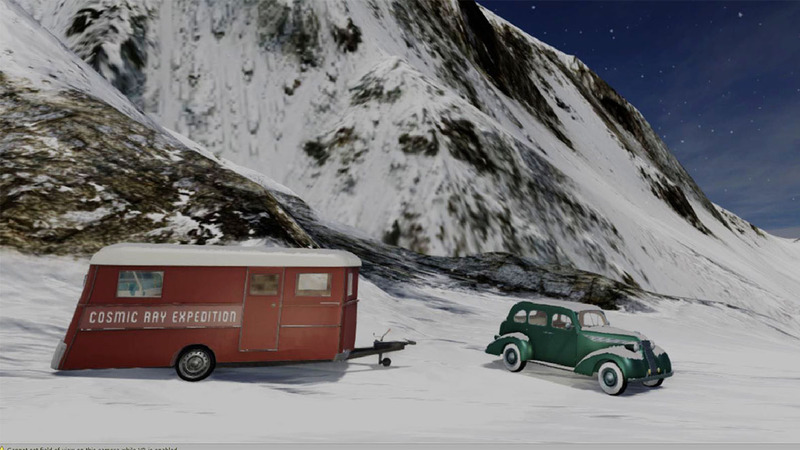 In Smashers, users can enter the trailer on top of Mount Evans and teleport right into the cloud chamber. They’ll experience the particle world as if they are the gas surrounding the particles. Animation: particle systems in Unity that capture the dynamic of a cloud chamber as viewed through the Oculus Rift. “Nuclear fission, the process by which an atom splits into lighter atoms, releasing considerable energy, has had a profound effect on our world in delivering energy, influencing geopolitics and opening new frontiers in science and medicine. 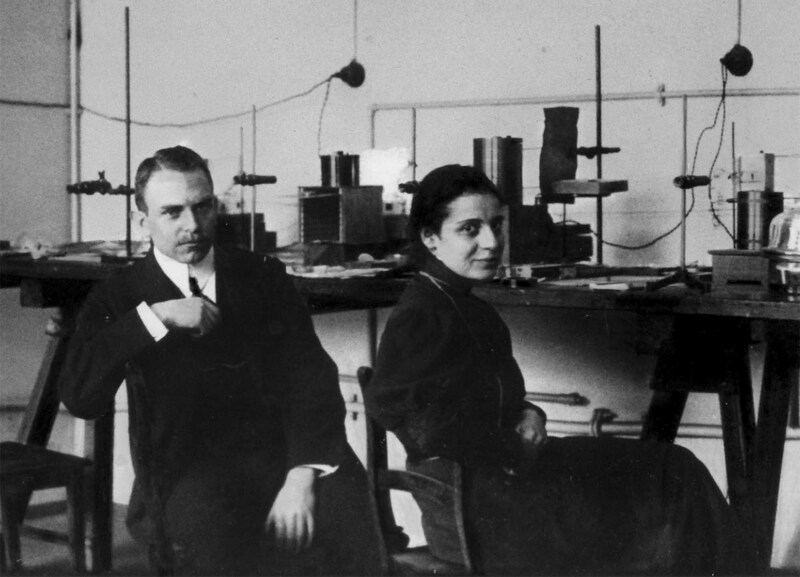 75 years ago three scientists Dr. Otto Hahn, Dr. Lise Meitner and Dr. Fritz Strassman working at the Kaiser Wilhelm Institute for Chemistry in Berlin developed an experiment grounded on the then-evolving concept that splitting an atom of an element would produce two atoms of smaller different elements. 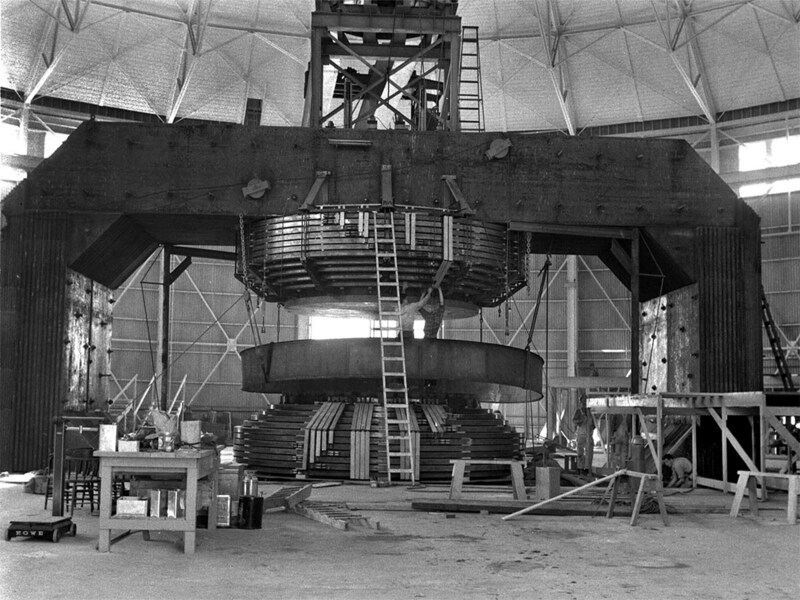 The Cyclotron was then transformed into the Calutron, or the uranium processing machine that used electromagnetic separation to generate U235 for the atom bomb. 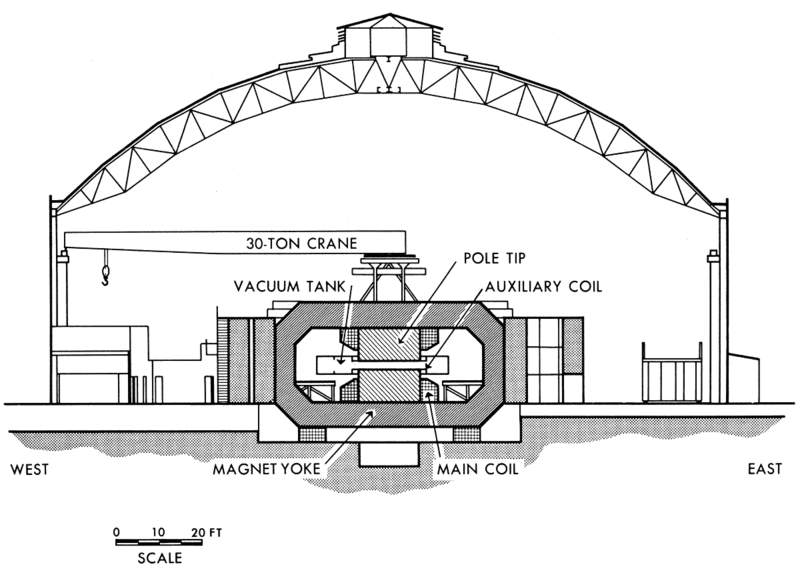 The Calutrons were built at Site X in Oak Ridge, Tennessee. 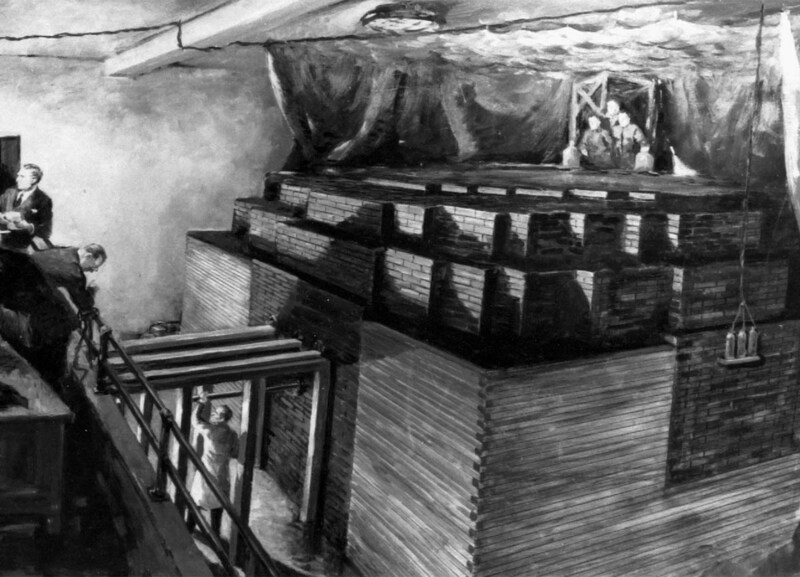 In 1942, Enrico Fermi’s team at the Metallurgical Laboratory, University of Chicago, built the world’s first nuclear reactor. Known as CP-1 (Chicago Pile 1), the reactor consisted of 45,000 graphite blocks, six tons of uranium metal and 50 tons of uranium oxide. 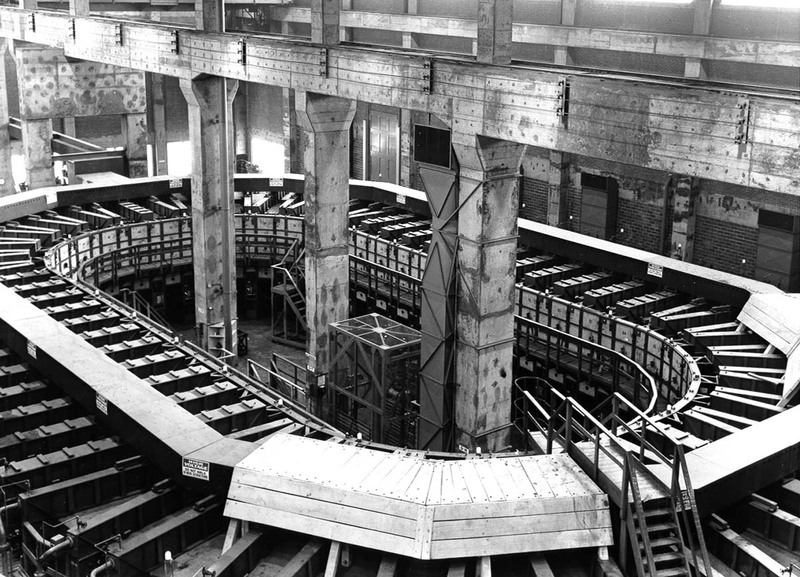 On December 2, Fermi achieved a self-sustaining chain reaction or the controlled release of nuclear energy. In this scene, users can relive the original experiment. By slowly pulling out the cadmium control rods in the same way George Weil did in 1942, users will witness the pile go critical. 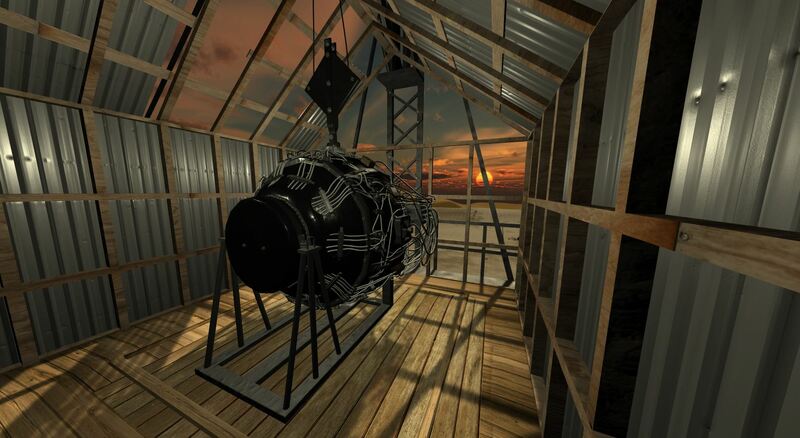 Users can climb the 100-foot Trinity Tower, and then stand next to the bomb in the same way that physicist Norman Ramsey did during the actual test in ’45. Poised at the tower’s apex, they can view the vast desert of Jornada del Muerto. The aftermath of the bombing of Hiroshima will be presented as a dream. The scene incorporates the shadows of Hiroshima as well as a circle of Quaker ghosts. Hints of lives lost are dramatized through animation, such as a slowly circling wheel of a wrecked bicycle. Scene-to-scene navigation: a floating collage of historical photos (memory map) provides the user with context and narrative knitting tissue between scenes. 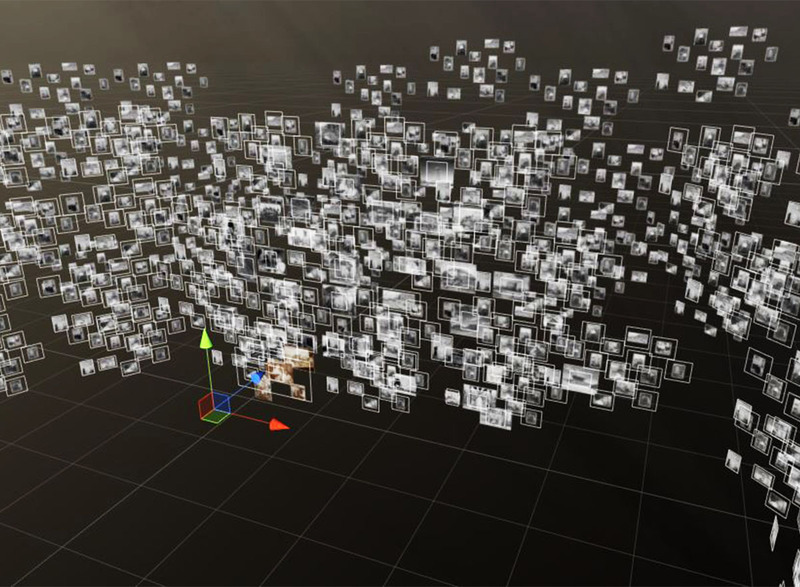 Before entering a key scene or environment in VR, the user can view actual photos of the people and experiments that are relevant to the scene. Users can also navigate from scene to scene by swiping a glowing molecule. These molecules slowly rotate around their left hand and can be viewed or hidden by pressing a controller button. Users can access two types of pointers — bezier (curved) and straight — on each controller. To teleport, users can activate the bezier pointer (yellow). To interact with objects, users simply point at them with an aqua-blue laser beam. Grabbable objects can be picked up and manipulated via the grip button on either controller. 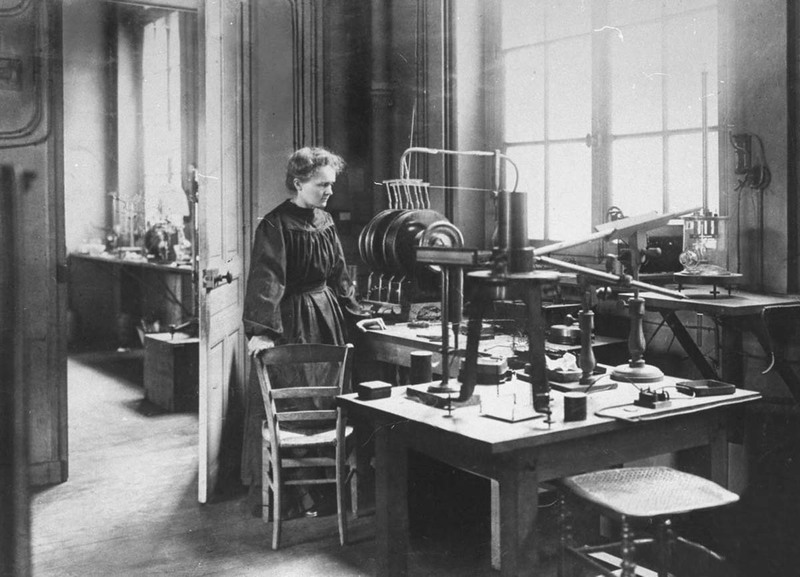 Madame Curie in her lab. 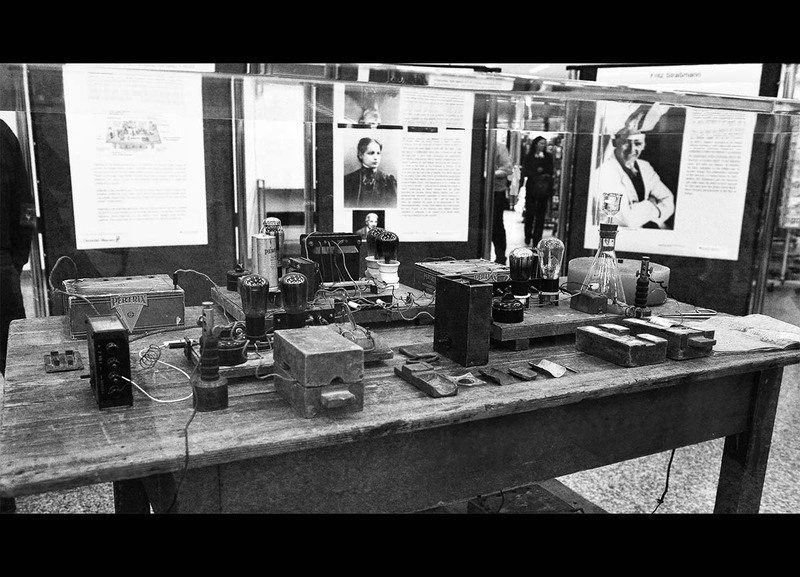 The experimental device which made the discovery of radioactivity possible. Dr. Carl Anderson and his cloud chamber for cosmic ray research. 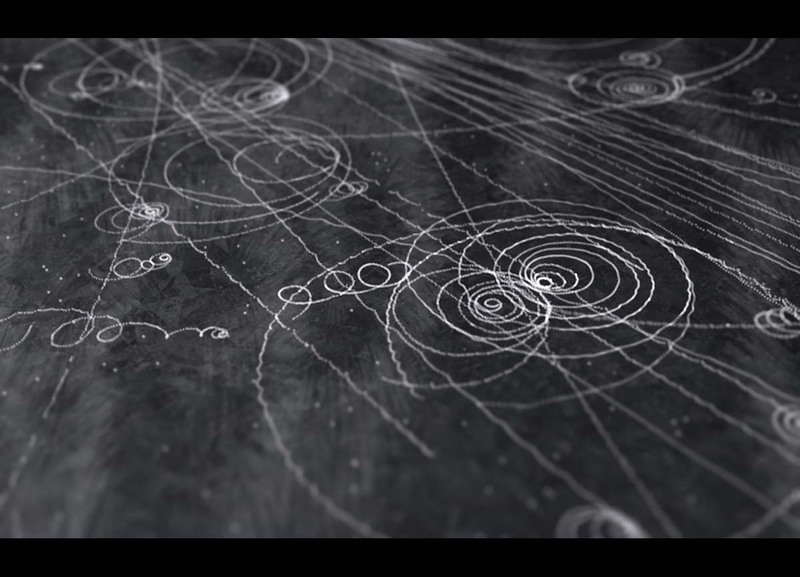 Particle tracks photographed from a cloud chamber. 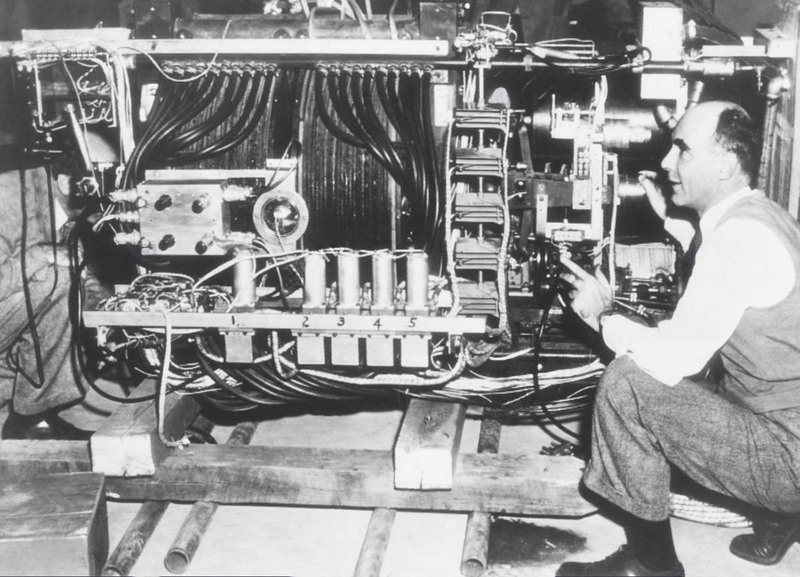 Invented by Ernest O. Lawrence, the cyclotron was an early particle accelerator. 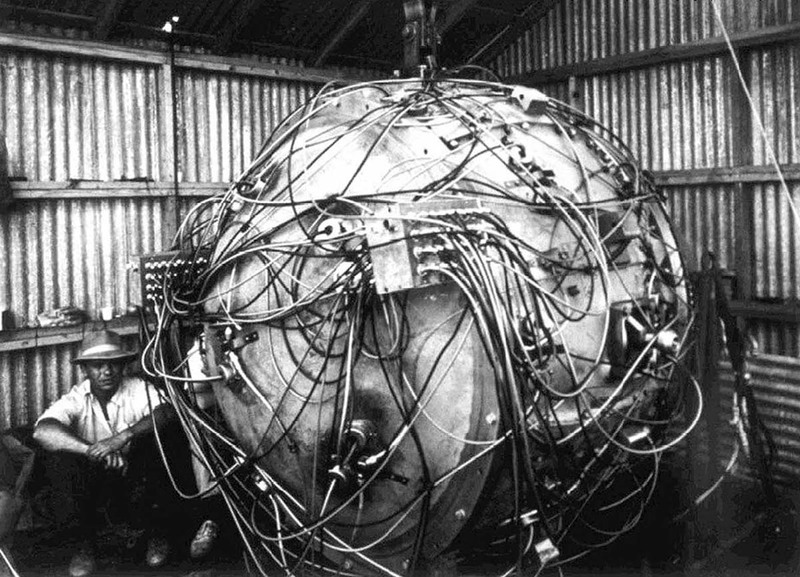 First human-made self-sustaining nuclear chain reaction, December 1942. 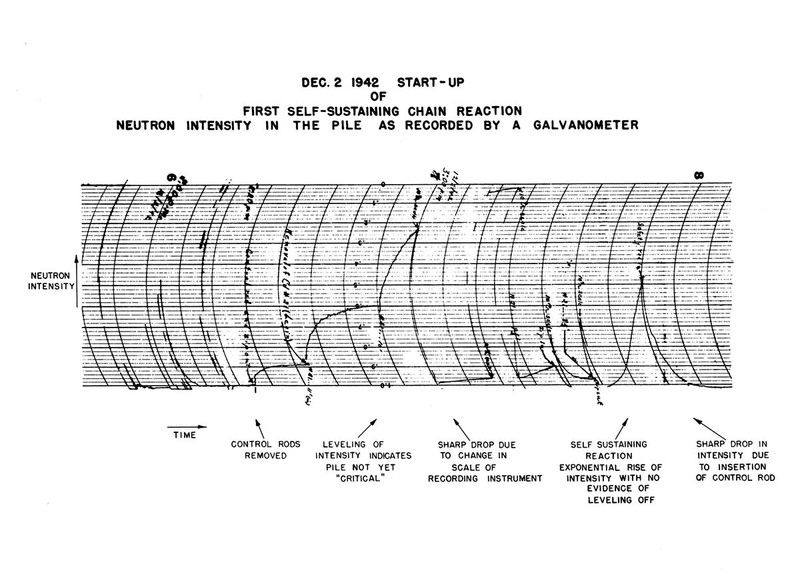 In Enrico Fermi’s experiment, the nuclear chain reaction was recorded by a galvanometer. 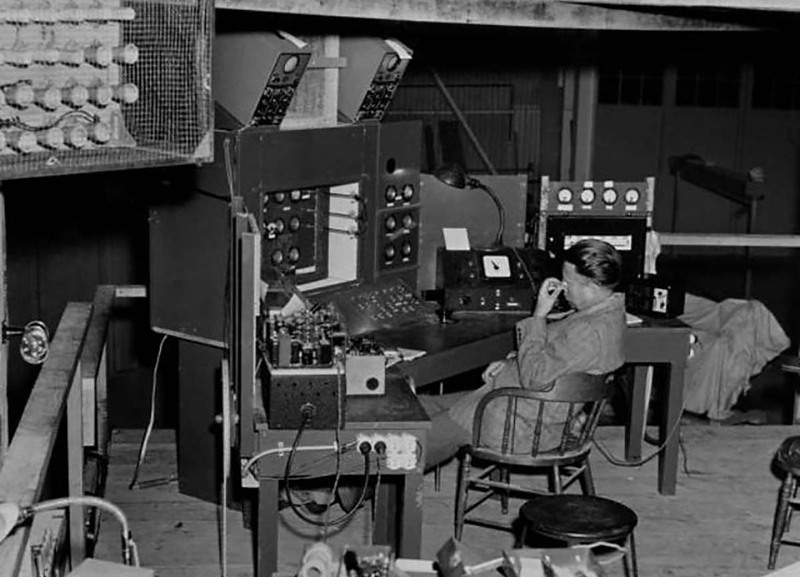 Ernest O. Lawrence at Calutron controls, UC Berkeley. 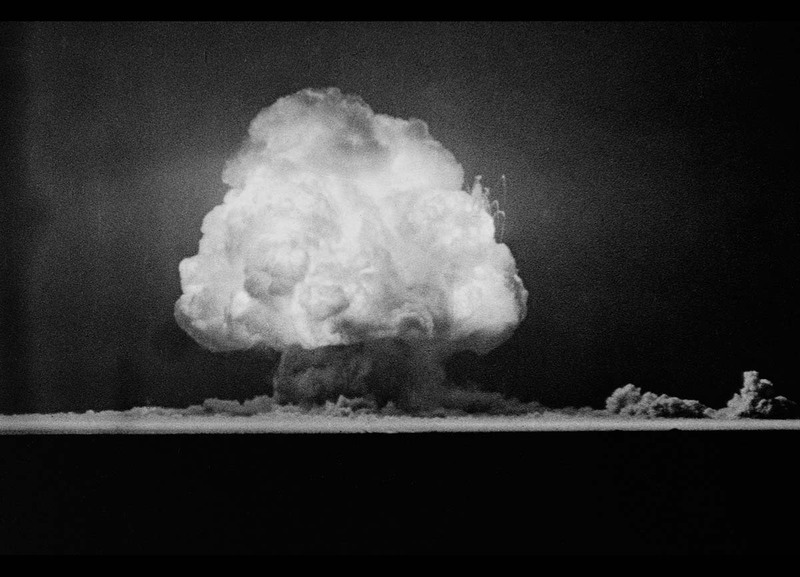 Trinity – first detonation of a nuclear weapon, New Mexico. The “Device” (code for atom bomb) for the Trinity test.